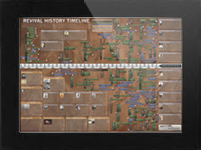 Want discount pricing of the Revival History Timeline for class, resale, or gifting? Wholesale is the perfect solution. Choose your discount below and add your quantity in multiples of 10 or 20. 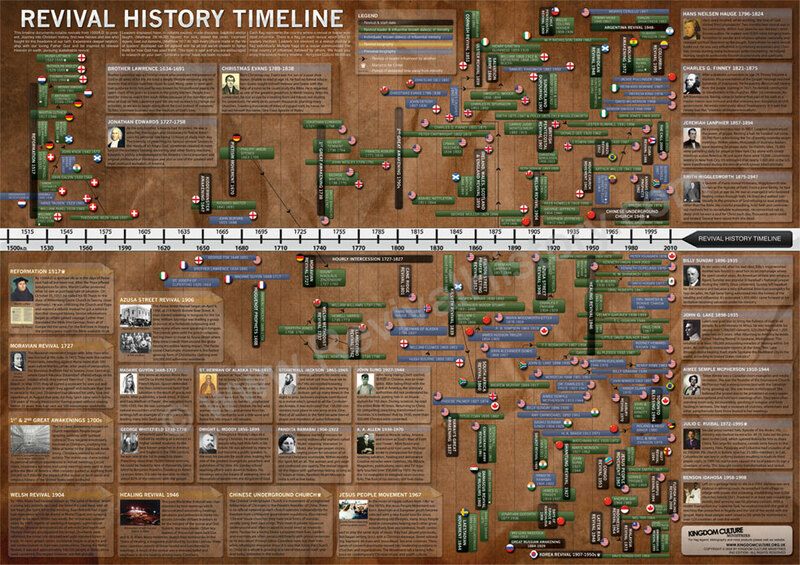 Want to buy the Revival History Timeline in bulk to resell or give as gifts? We’d love to help resource your school, church, shop or other venture. Our postal tubes hold quantities of 10 or 20 posters. Discount levels are shown below. 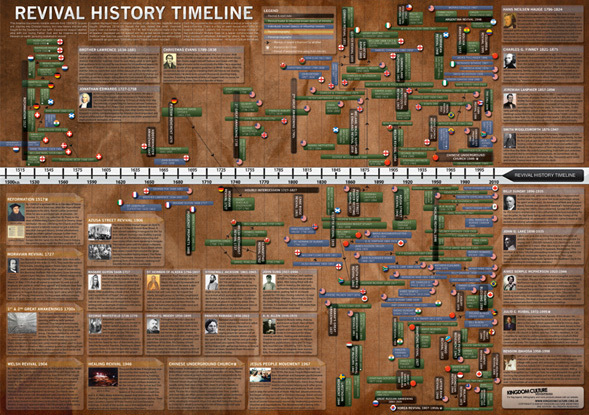 The Revival History Timeline takes you on a 500 year journey that draws you in with interest time after time. You’ll see pictures and read stories that will encourage your faith as you look through the timeline. Details once available to those with countless hours to read rarely found books are now laid out in a beautiful, simple to understand way. Give yourself and others the knowledge of revival history worldwide since 1500A.D. Great for resale and fundraising; for your church, school, ministry, family, friends or even your staff, team or homegroup. Add 10 – 40 posters in tubes of 10 or 20, for this wholesale discount. $13.15 / poster including shipping. Add 50 – 250 posters in tubes of 10 or 20, for this wholesale discount. $10.60 / poster including shipping. Add at least 260 posters in tubes of 10 or 20, for this wholesale discount. $7.90 / poster including shipping. Your wholesale order will be shipped in 1-2 business days of receipt. Once in the shopping cart, shipping costs are reflected in the item price NOT in the shipping section. Shipping prices quoted are per tube of posters ordered, not per full order and not per individual poster. Choose to order using the “Tube of 20” button where possible for the best shipping rates. In rare instances we may need additional information to process your order. We will be in touch via email if this occurs. Choose the appropriate shipping option from below when you add to your cart. Your order will be shipped from Northern England via Parcelforce Worldwide, Value. Delivery is from 4 business days of shipment. Customs inspection is likely on all international packages delivered outside the EU. No customs fees should be incurred anywhere worldwide. Have an account with your own postal provider such as UPS or FedEx? Choose “Arrange Own Shipping” in the drop down options when adding to cart. We will provide you with the pickup address in England via email, after your payment is received. We will have your order ready for pickup during business hours Monday thru Friday when you desire within 3 business days. Wholesale tube dimensions in inches: 25.25″ Long x 3″ High x 3″ Wide x 10″ Girth. -Royal Mail, Standard Delivery: 2-3 business days 1st Class. Most cost affective. Delivery can be delayed by Royal Mail with unforeseen postal delays at times. -Parcelforce Worldwide, Express48: 2 days Delivery within 2 days to most of UK, Some more remote areas within 3-4 days. -Parcelforce Worldwide, Express24: next day Delivery next day to most of UK, Some more remote areas within 2-3 days. If you require resale marketing information, you may use any of the information found on the Revival History Timeline page. 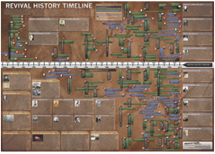 Click here to view and save an image of the Revival History Timeline for resale use. After image appears, simply right click and save image. Wholesale Revival History Timeline’s do not come with individual tubes. If you require individual tubes, you may easily search online for wholesale or bulk postal tubes. You’ll want size 25″ long x 2″ wide. If you choose to resell the Revival History Timeline, we simply ask that you do not intentionally or unintentionally lead your buyers to the conclusion that you are the creator of the Revival History Timeline. The Revival History Timeline is copyright to Kingdom Culture Ministries and may not be reprinted or sold or given digitally for any reason. Understandably, endorsements for the Revival History Timeline may not be used but not altered. You can be assured your order will be packaged with the greatest of care. In rare instances a few posters may become slightly nicked on the corners during shipment. We cannot be held responsible for this. You agree for postal services and/or customs to potentially inspect your order and we are not able to be responsible for any damage that may occur. All orders are inspected for damage and default before shipment. If you feel part or all of your order has been damaged beyond repair during shipment, you’ll need to contact the appropriate shipment or postal agency to resolve any conflict with them directly. If you order a total quantity from the incorrect discount level, we reserve the right to refund your payment and ask you to pay the correct amount. If you over-pay, we will manually issue you a partial refund. 10 best loved Miracle Magazines plus 3 Special Editions. Free shipping on this well loved ministry and study tool. 48 Voice of Healing Magazines at your finger tips.